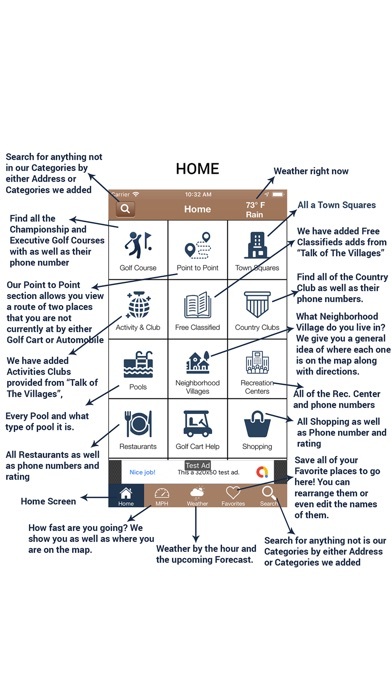 Nice tool for de-stressing your golf car travel in the Villages. Thanks!! Just moved into Soulliere Villas. 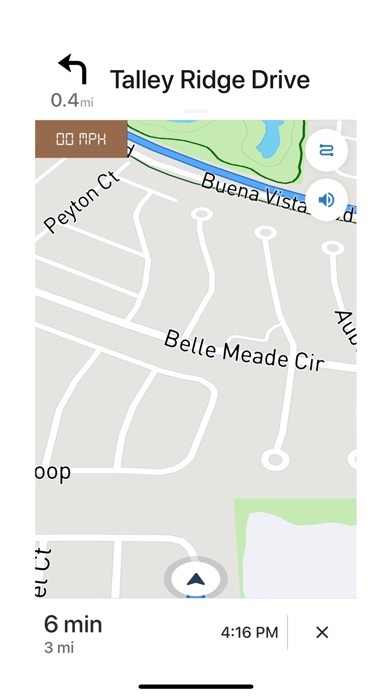 App does not recognize streets in this area, or the golf cart path from the back of this development.... Please update! Straight to the point and easy to use. Excellent display especially if destination is pre-loaded (ie pools, shopping etc) We had a problem with initial download in that it would not start when prompted. The GPS Team answered my email almost immediately and worked tirelessly to resolve the problem. Outstanding service. All vendors could take a lesson from them. 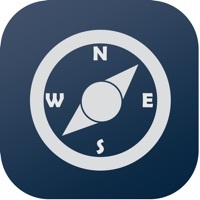 Updated App hits the mark! My app was recently updated and I was unable to open it at all. I reported it to the apps team and their response was amazing! They kept me updated and had the problem resolved in less than 8 hours. I used the app today and the improvements take my rating of the former app of a 3 star rating to a full 5 star rating. 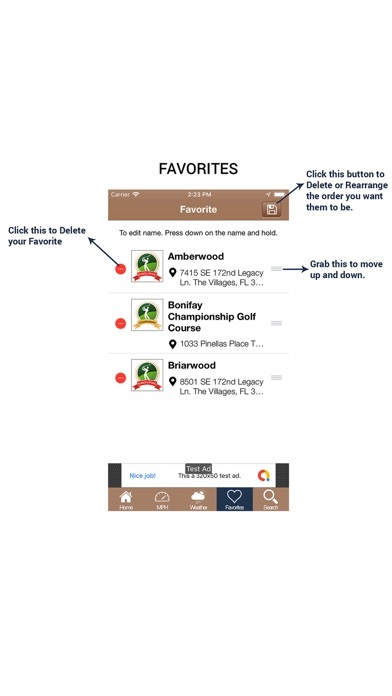 The new features and enhanced usability absolutely make it the best app for navigating The Villages. A must for newbies and also helpful for residents that have been here awhile. Good job!! 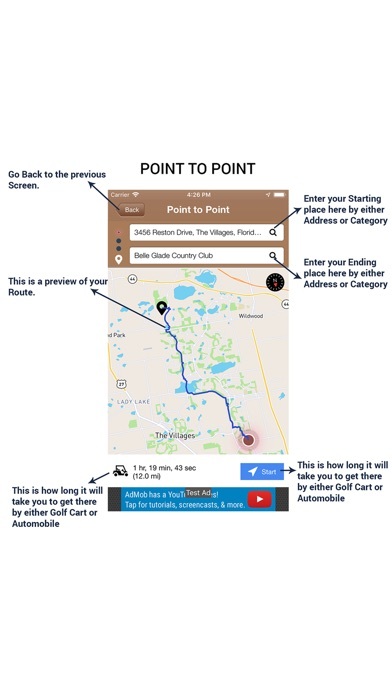 This is a great app to use when trying to get around the villages by golf cart. Like others have said however I would like for the music to automatically be lowered and then resume playing once the voice direction commands have been given. Other than that I can’t complain about the app at all! Support is superior. I had issues with getting the app to open after the update and I was in constant email with the support team who were quickly able to get the problem fixed so that the app started working again. True customer service at its best! 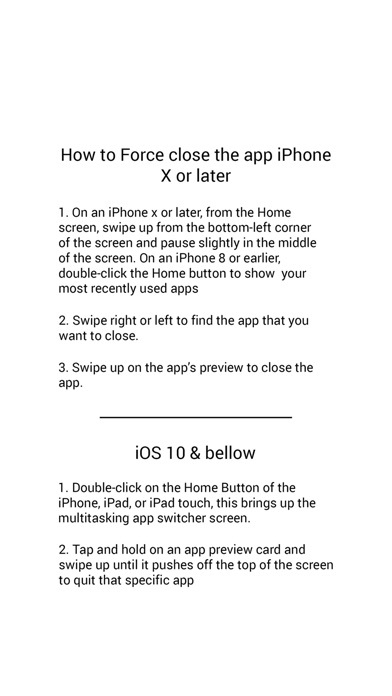 The new version apparently had a bug with opening to the Home Page for iPhone. Within 24 hours, the problem was resolved. New version works great. Great response time! 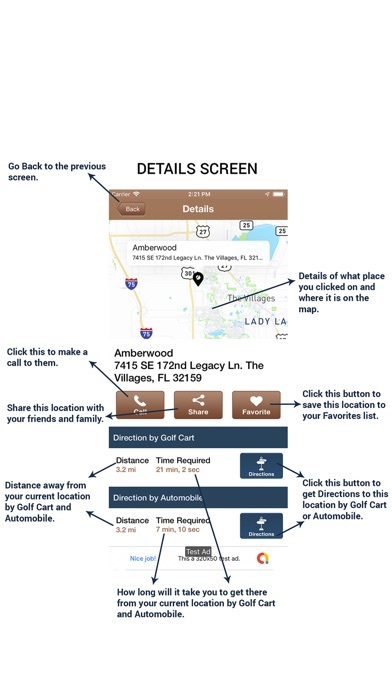 If you want to get around The Villages in your golf cart this is the app for you. It has mostly all of the places you would want to go and the support team is most helpful and prompt if you have any questions or problems.